100G Ethernet is developed at a fast pace. 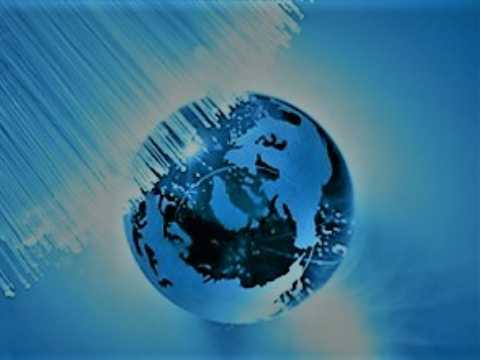 With the prevalence of 100G network, various issues happen in the process of network establishment. For example, 100G QSFP28 optics commonly used in daily life can be available for 10kms transmission distance in 100G applications via WDM tech. However, there is a non-negligible fact that the price of a WDM device is high and the utilization of QSFP28 optical transceiver can not still satisfy the needs when the transmission distance is above 10kms. Therefore, QSFP+ optics are needed on the 100G switcher. Well, at this time, the question is whether QSFP+ optical module transceiver can be plugged on the QSFP28 port of the 100G switcher or whether QSFP28 optical module can be utilized on the QSFP+ port. In this article, the answer will be revealed to you. 100G QSFP28 optic fiber module is a hot-pluggable transceiver module designed for 100G data rate. “28” means each lane carries up to the 28G data rate. The QSFP28 has 4 electrical lanes that can be used as a 4x10GbE, 4x25GbE, depending on what types of transceivers are used(the main types of QSFP28 optics consist of 100G QSFP28 SR4, 100G QSFP28 LR4, QSFP28 CWDM4, and QSFP28 PSM4, shown as the pic ). QSFP+(Quad Small Form-factor Pluggable Plus) is the most common 40GbE interface type, and also as a high-density 10GbE interface via QSFP+ breakout cables. 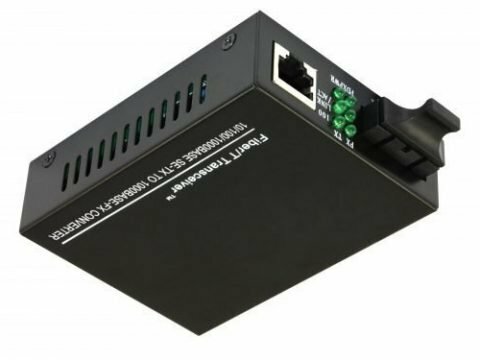 It connects a network device (switch, router, media converter or similar device) to a fiber optic or copper cable, supporting data rates of 4×10Gbps and supporting Ethernet, Optic Fibre Channel, Infiniband, and SONET/SDH standards with different data rate options. Compared with CFP (C form-factor pluggable) transceiver modules, QSFP+ transceiver modules are more compact and more suitable for the port-density application. QSFP+ supports the data rate of 40G, 4 channels for transmitting and 4 channels for receiving, each lane carrying 10G. QSFP+ can break out into 4x10G or 1x40G connection. QSFP28 optical transceiver is similar to QSFP+ in the form factor and size, and 25Gb/s is available in per channel of QSFP28 optics. While 10Gb/s is available in the per channel of QSFP+ optics. Therefore, the port of QSFP28 can be backward compatible with QSFP+ optical transceiver. A 100G QSFP28 port can generally take either a QSFP+ or QSFP28 optics. If the QSFP28 optics support 25G lanes, then it can operate 4x25G breakout, 2x50G breakout or 1x100G (no breakout). The QSFP+ optic supports 10G lanes, so it can run 4x10GE or 1x40GE. If one uses the QSFP+ transceiver on QSFP28 port, one has to keep it in mind that single-mode/multimode (SR/LR) optical transceivers, and Twinax/AOC products are for options. However, on the contrary, QSFP28 optics cannot be plugged on the QSFP+ port, which is due to that the requirements for the data rate cannot be satisfied. There is a rule about mixing optical transceivers with different speed—it also depends on the optics and the ports. Two ports of the optical transceiver module have to match and form factor needs to match as well. Additionally, port speed needs to be equal or greater than the optic used. 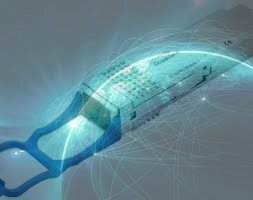 It can be concluded that the QSFP+ optical transceiver module can be connected on the QSFP28 ports, but QSFP28 optics cannot transmit 100Gbps on the QSFP+ port.